The First Tee of Augusta is excited to announce that Darius will return to headline the 15th Anniversary Drive for Show, Rock Fore! Dough concert which will take place at The First Tee of Augusta’s Driving Range on Masters Tuesday, April 9. 2019 will mark the first time Rock Fore! Dough has taken place at The First Tee of Augusta since 2012. “We are thrilled to Rock Fore! Dough back to the driving range here at The First Tee of Augusta. The concert will be a great opportunity for us to showcase our facility and all the great things we have to offer the community throughout the year,” said Jill Brown, The First Tee of Augusta Executing Director. TaxSlayer is pleased to present the 15th Anniversary Drive for Show, Rock Fore! 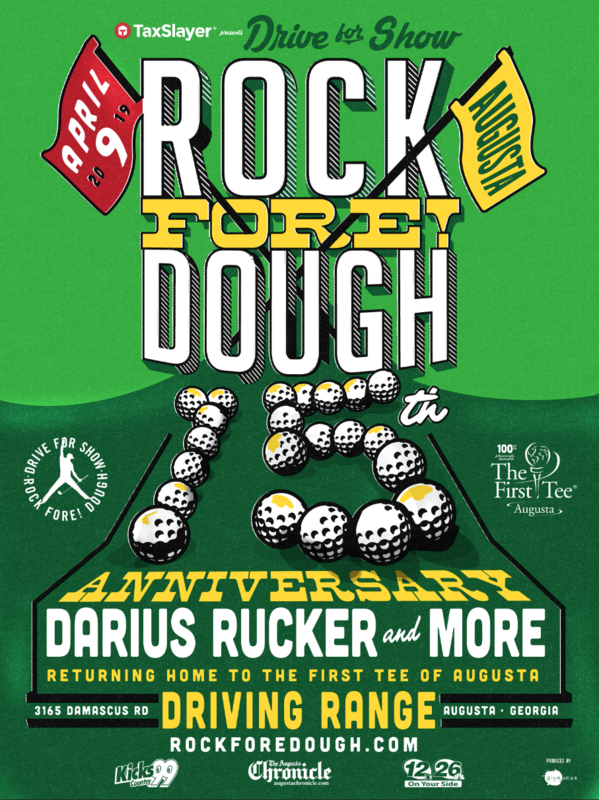 Dough concert that has raised over $1.6 million for The First Tee of Augusta since the inaugural show in 2005. Tickets will go on sale in November – the exact date to be released later this month. Artist additions to the lineup will also be announced in the coming months.